Questions on glass? Below are some of the most commonly asked questions pertaining to auto and residential glass. This is my third broken windshield. Will my insurance rates go up if I get it replaced? 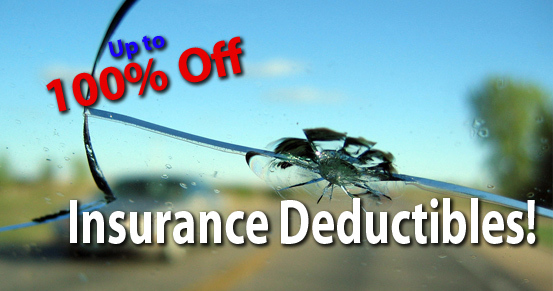 No, your insurance rates should not increase due to auto glass replacement. Insurance companies do not factor glass claims by themselves into the equation when determining your risk assignment or your insurance rates. Unlike accidents, windshield replacements are comprehensive claims that you have no control over. To be sure, however, check your policy or call your agent. I called around and requested quotes on replacing my windshield. Why is there such a big difference in price? There could be a lot of reasons. Some companies are famous for quoting incredibly low prices on the telephone, but when the customer goes in for service they find out that other parts are required and that tax and labor was not included. Some companies quote low prices because they use inferior aftermarket glass and cheap inexperienced labor. Unfortunately, most people don't know the difference or don't understand the safety implications and they make their decision solely on price. Don't be fooled by gimmicks and giveaways. The old adage applies: "If it sounds too good to be true, it probably is." How can some companies afford to waive my deductible, give me free gift certificates and still do quality work? Chances are, they can't. In recent years insurance companies have set strict pricing standards on auto glass and will not pay more than these "usual and customary" charges. As a result, the only way the cost of those freebies can be absorbed is by cutting corners. You'll have to question what kind of job you'll get. Will they use Original Equipment parts, Certified technicians and AGRSS safety procedures to insure your safety? Probably NOT! Always check with the Better Business Bureau before doing business with a company that sounds too good to be true. Most companies with reputations for doing quality work don't need to make wild offers to attract business. And remember what your grandfather told you: "There ain't no free lunch." I just had my windshield replaced. How do I know if it was done right? You don't. Without removing the windshield, it's impossible to tell if the windshield was prepped correctly, if critical primers were used, or if the proper amount and type of urethane was used. Once a windshield is installed, all the critical installation steps are hidden under the moldings and ceramic band. If it looks clean and the moldings are lying flat, you can only guess it was done right. But those things are only cosmetic. It's what is underneath that counts. That is why it is important to ensure that the company replacing your windshield has a good reputation. The number of years a company has been in business is a good indicator. Also, prior to scheduling an appointment for replacement auto glass, check with the local Better Business Bureau to determine if the company is in good standing. What should I look for when my windshield is replaced? The first thing to look for is a company that has a good reputation and a proven service record. Next, make sure they are using OEM glass and have Certified technicians. If you start with the right company, you're half way there. When the installer comes out, ask questions. Questions about when you'll be able to safely drive your vehicle and what kind of urethane he'll be using. He should be knowledgeable enough to answer any questions you may have. Make sure that he'll do a factory recommended "full cutout" instead of the quicker "short-cut" method which leaves most of the old sealant in place. The installer should carefully clean and always prime the windshield before installation. He should also use suction cups or at least disposable gloves while installing the windshield to insure that the adhesive surface of the glass does not become contaminated. Missing any of these steps could result in an improper or unsafe installation. After an accident is the wrong time to find out your windshield was improperly installed. That depends on the make and model of your vehicle. Because of the complexity of some vehicles, it could take as long as 3 hours. Most vehicles, however, require about one hour to one and a half hours to properly install the windshield. Auto manufacturers recommend a full cutout method when replacing a windshield. This method takes a little longer than what has been popular with most technicians in the past. As with most things worth having, quality takes time. If an installer claims he can install your windshield in 30 minutes or less, it's a sure bet it won't be done right and certainly not safe. FMVSS stands for Federal Motor Vehicle Safety Standards. They are standards set by the National Highway Traffic Safety Association relating to vehicle safety. A number of these standards set minimum requirements for windshield retention in vehicle accidents. Because the windshield is the most important safety restraint system in a vehicle, it is critical that the windshield not come out in an accident. If that were to occur, the passenger compartment would be compromised, occupants could be ejected and the roof could collapse. Any of these scenarios would result in serious injury and possibly death. 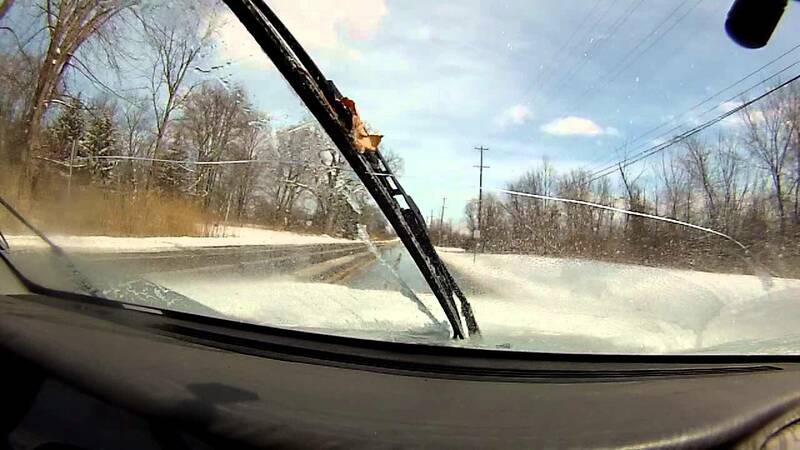 As a result, FMVSS must be adhered to with every windshield installation. The only way to meet these standards is by strictly following the vehicle manufacturers' preferred installation methods. These include, performing full cutout procedures, utilizing OEM glass, applying the necessary primers and using only the approved adhesives that provide the proper safe drive-away times. FMVSS were created and are in place to save your life. Unfortunately, not all glass companies comply. It's up to you to make sure your glass replacement company adheres to them. No one else will. original equipment-style tooling and meets the manufacturer specifications for safety and quality. Only OEM glass can insure proper fit and finish which greatly reduces the possibility of air or water leaks. Most importantly, only OEM glass is designed specifically to meet the safety standards necessary for your protection in an accident. How soon can I drive my car after my glass is replaced? This will depend on the type of urethane adhesive used to install the glass in your vehicle. 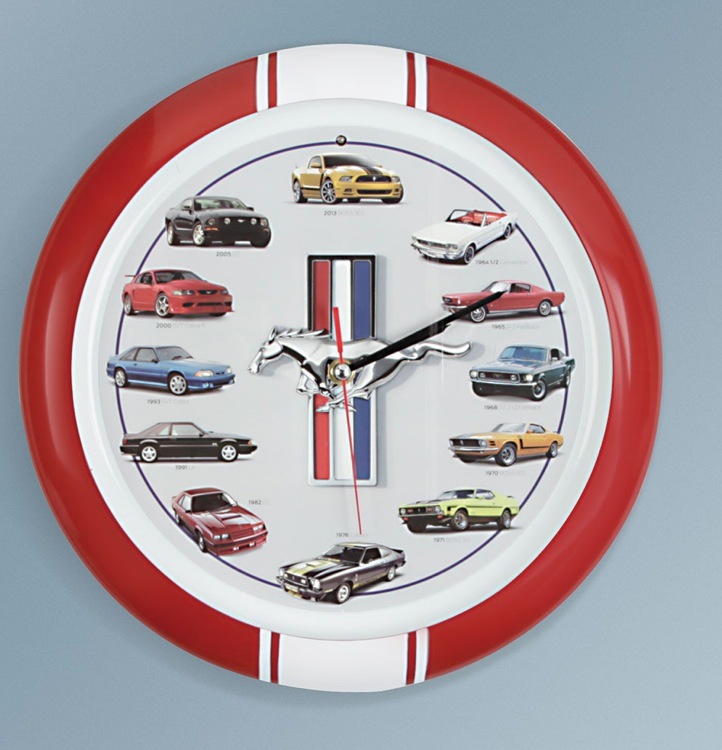 While most automotive grade urethane's rely on temperature and humidity to cure, the time required varies widely depending on the manufacturer. This time frame can range from immediately up to 24 hours before your vehicle will meet Federal Motor Vehicle Safety Standards and is considered safe to drive. Frank’s Glass uses a chemically cured urethane that allows our customers to drive away safely as soon as their windshield is installed. Can my windshield be repaired or do I need to replace it? soon as possible. 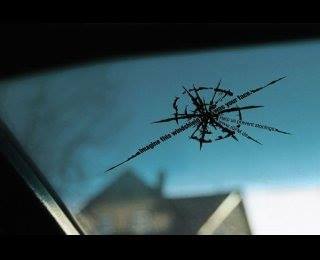 Most “dings” or “chips” can be repaired if the damage is not in the driver’s line of vision and is smaller than the size of a quarter, including any cracks. If the break is larger than a quarter or in the driver’s line of vision, most insurance companies recommend replacement. A chip repair is performed by filling in the damaged area, however it may still be visible but will help prevent the damage from spreading any further. Many insurance companies will waive the comprehensive deductible (if you have one) if a chip repair is performed vs. a replacement windshield. Check with your local insurance agent or contact us and we will confirm your coverage. What is the Consumers Right to Choose? Quite simply most states grant the consumer the Right to Choose which company repairs your car. Many insurance companies direct you to a third party administrator to process your claim. Referrals are made to glass companies on a rotation basis or to glass companies affiliated with the processing company. When filing your claim, you have the right to select the glass company of your choice to have the work done. What is the warranty on my auto glass replacement/repair? A reputable glass shop will provide a warranty with any glass replacement or repair. Frank’s Glass offers a limited lifetime warranty on all auto glass installations. This warranty covers any defects in materials or workmanship, including water and air leaks. If you experience any problems after installation, contact one of Frank’s Glass Customer Service Representatives and they will be happy to assist you in scheduling an appointment for your warranty claim. If a chip repair expands and a new windshield is required, 100% of the chip repair cost will be applied toward the windshield. 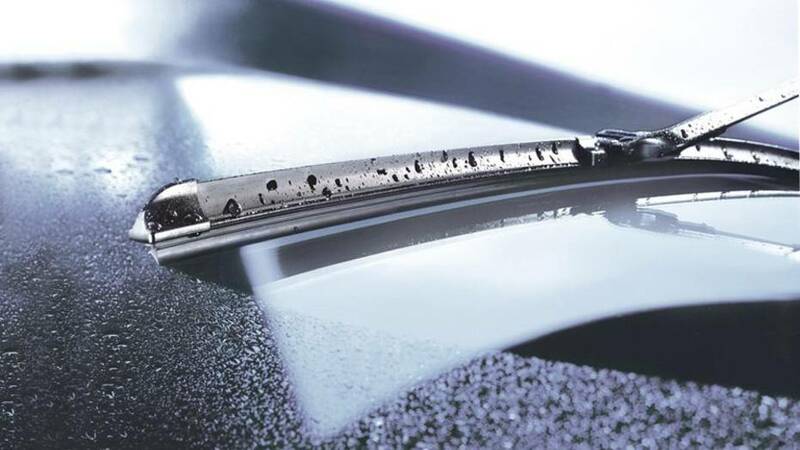 Yes, we offer quality Mighty™ windshield wipers for an additional cost at the time of service. Most wiper blades are available at the low cost of $14.99/pair installed. Because most major driving decisions are based on having a clear, unobstructed view, experts recommend replacing your windshield wipers every six months or 6,000 miles. Continuing to drive with worn or damaged blades can damage your windshield, so it's important to make sure you have adequate blades when you have your windshield repaired or replaced. How soon can I wash my vehicle? It is recommended that you wait 24 hours before washing your vehicle. There are 2 reasons for this. First, the high pressure from automatic car washes can damage the seal and outer moldings before the urethane has a chance to cure sufficiently. Secondly, it's important to leave at least one of the windows open at least an inch to reduce the pressurization in the vehicle when the doors are shut. This prevents the pressure inside the cabin from blowing a hole in the urethane seal, causing an air or water leak. Water on the windshield is not the concern. In fact, if it should rain, don't fear. The moisture actually helps the curing process of the urethane sealant. TPA stands for Third Party Administrator. TPA's are used by insurance companies to process claims. The 1-800 number your insurance company gave you to call in a claim will usually go to a TPA and not your insurance company. This is important to know because some TPA's are actually glass companies and have an interest in sending you to one of their own shops. Remember, by law, in Ohio you have a right to choose who repairs your auto glass. Any recommendation made is that of the TPA and is not required by your insurance company. 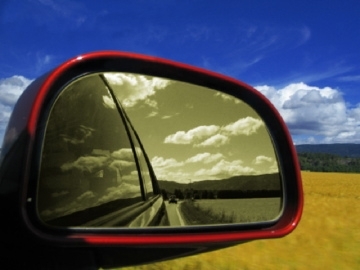 Do you replace side view mirror glass? Yes. Frank’s Glass can order the glass for your side view mirror and have it professionally installed by one of our trained technicians. However, if your housing needs to be replaced you will need to order a new one through your local auto dealership. Auto glass is designed and manufactured for optimum safety in the event of a crash. Your windshield is made of laminated safety glass. 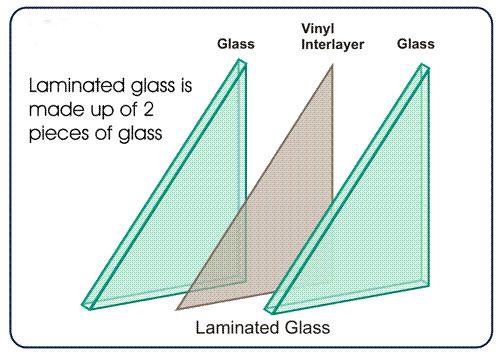 Laminated safety glass is two pieces of glass with a layer of vinyl sandwiched between, so it will stay intact in a collision. The side and rear windows are usually made of tempered glass, which has been treated to make it much stronger than other glass of the same thickness. If it breaks, it is designed to shatter into small pieces. For some newer vehicles, car manufacturers sometimes use laminated glass for side windows to improve sound insulation and/or strength. Do I need to contact my insurance company or agent before I set up an appointment for services? No, we are insurance approved and a preferred company. Our staff is trained to answer any questions that you might have about the process. We will help you through the entire process. All that you need to have is your proof of insurance card, we will handle all of the paper work for you.